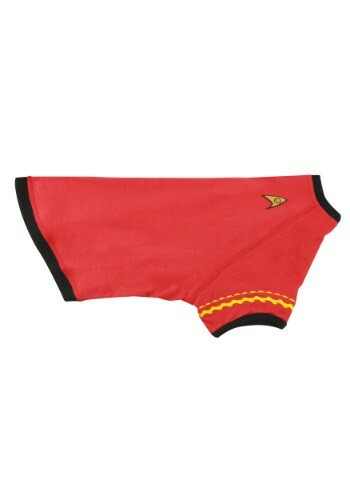 Star Trek Scotty Dog Uniform By: The Coop for the 2015 Costume season. If you're pretty sure that at your house "arf arf arf" means "I'm givin er all that I got, captain" you're going to want to get your dog outfitted with this Scotty uniform costume. Whatever kind of dog you have, we're sure you'll love having them outfitted in this classic Star Trek look, and it'll be great to have your pooch help keep your engines running at full tilt!